On Saturday, August 25, the annual Back To School Event will take place at Ridgecrest Elementary from 12:30pm - 4:00pm. For the past 17 years, the Shoreline community has come together to support our students and their success. This year they plan to serve 1,000 students. There are many ways to participate in this event. To make a financial donation, visit this webpage and look for the “Donate” button. 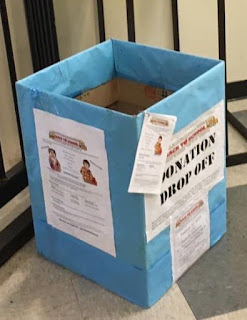 Donations of backpacks, school supplies, socks, underwear, shampoo, and conditioner can be made at the Center for Human Services, 17018 15th Ave NE in Shoreline. 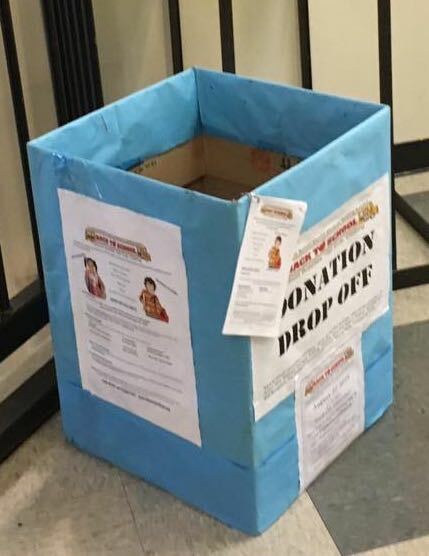 Other drop box locations include The Dale Turner Family YMCA, the Spartan Gym, Third Place Books and all the Shoreline and LFP Starbucks. Look for the boxes with the yellow school bus logo. A list of needed items can be found here. This year’s most needed school supplies are: composition notebooks, ear buds, loose leaf dividers, pointed and blunt tip scissors, fine line color markers, and scientific calculators. To register for the August 25 event to receive supplies, visit the webpage, or call The WORKS information line at 206-393-4916 and leave a message. Opportunities to volunteer prior to or on the day of the event can be found here or feel free to leave a message on The WORKS information line. Back to School Consortium Members include the Center for Human Services; City of Shoreline; Dale Turner Family YMCA; Hopelink; Ronald United Methodist Church; The Salvation Army; Shoreline Community Care; Shoreline School District; Turning Point; and The WORKS of Shoreline PTA Council; Lake Forest Park Rotary, and the Shoreline Breakfast Rotary has generously participated for many years.